After a long, cold winter, Erie has already started to feel the change of the season, but with the Wild Rib Cook Off & Music Festival, locals can finally get a true taste of summer. 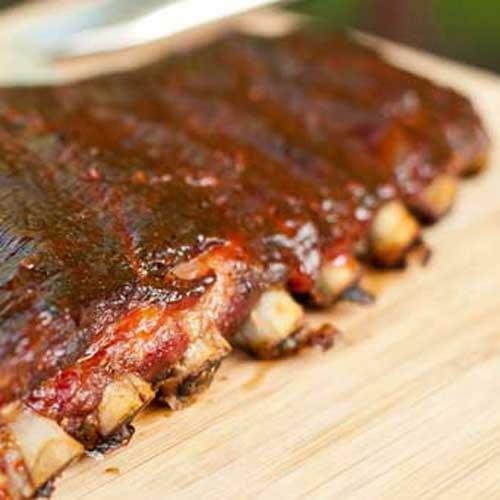 For four days, Perry Square will be buzzing with barbecue enthusiasts as the downtown destination is taken over by eight different vendors looking to have our city name them as the best in the rib business. In addition to the barbecued treats, other festival foods, such as funnel cakes, deep-fried Oreos, and corndogs, will be available for purchase in the Square. Taste isn't the only sense that the Rib Fest should appeal to, as smells of baked beans, corn bread, and prime cuts of meat should pair nicely with the sounds of Waterford blues crew Rick Magee and the Roadhouse Rockers who play on the main stage Friday night, part of live music lineup that also includes Jackson Station on Thursday and French Kiss on Saturday. The barbecue vendors are back in The Flagship City to impress your tastebuds, so treat your senses to the taste, smell, and feel of summer when the Rib Fest returns this May.